YES! Dance Jewellery 20% off all Jewellery! Our winter warmer this January is 20% off everything up to the end of January. 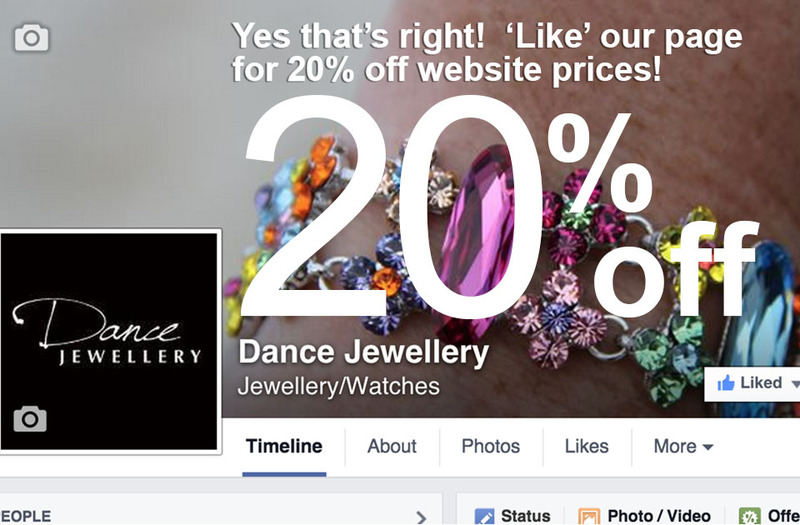 All you have to do is "Like" our Facebook page - dancejewellery.co.uk then contact us through facebook to get your 20% off code! This code can be used up to April 2015 so you will have plenty of time to check out our growing range and find something for yourself or someone special. We will be updating with new stock on a weekly basis during the next month or two so make sure you come back for a sneaky look.